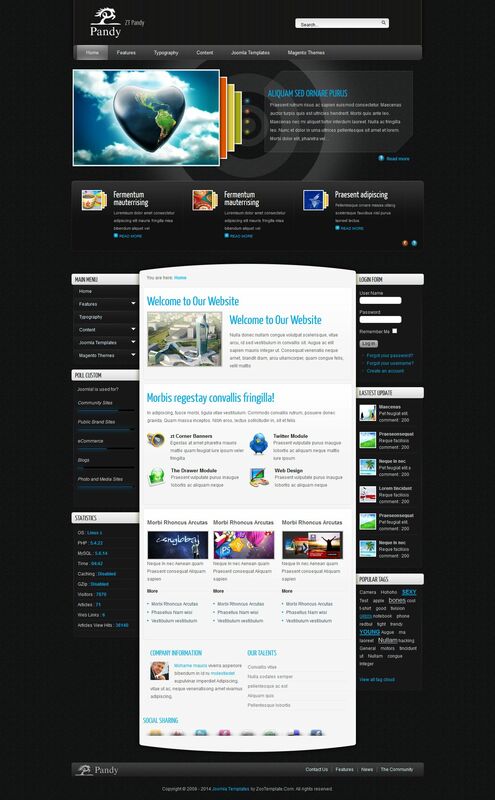 JV Pandy - the updated version of the original template from the business team of professional developers JoomVision. Elegant and contemporary design template presented in dark colors, ideal for creating websites on various subjects and complexity. Corporate slider studio, located in the upper part of the site supports several display options that can effectively present information to users of the site. Flexible modular design includes 26 products, the layout includes 3-column basis, conferring a special template functionality. JV Pandy has full support for various mobile devices, displays correctly in all popular browsers, as well as a fast loading pages. Developers studio was optimally optimized code template files, SEO consider when optimizing your site for search engines.